New Delhi (Team Vishvas). 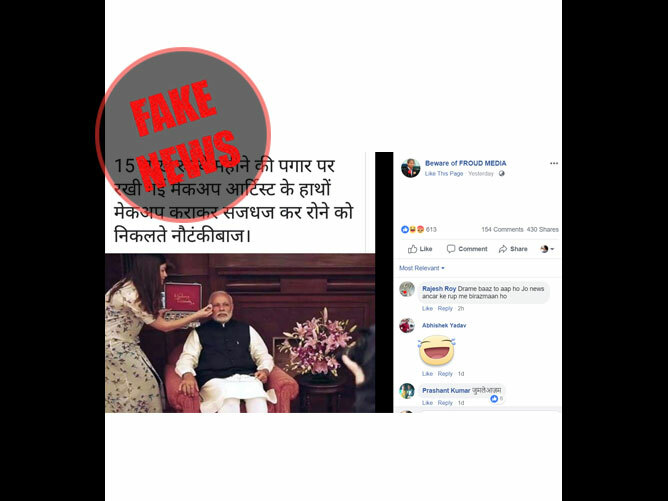 A Facebook post claiming that Prime Minister Narendra Modi has hired a makeup artist who is paid 15 lakh rupees a month has gone viral on the social media. 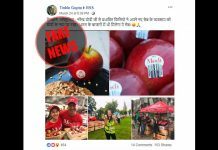 In our investigation we found that the claim is false. 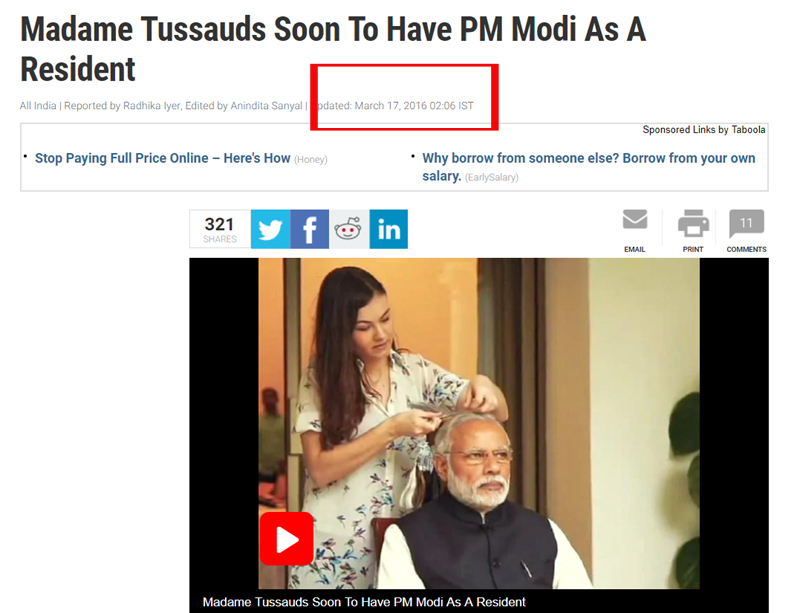 The photo is from 2016 when a team from Madame Tussauds wax museum visited Prime Minister Modi’s house to collect measurements for a wax replica they were building in their museum. 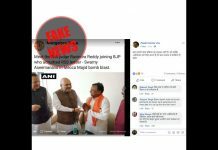 The post was shared by a Facebook page called ‘Beware of FROUD MEDIA’. In the photo, a woman could be seen standing alongside Modi. 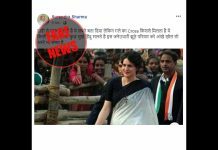 The post claims that the woman in the photo is PM’s personal Make-Up artist who has been hired at a salary of Rs 15 lakh a month. 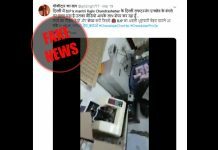 To know the truth behind the viral post, we took a screenshot of the image and searched it on Google Reverse Image Search tool. 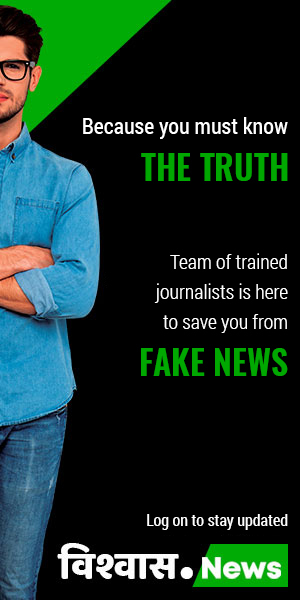 This landed us on a news story of ndtv.com. The same image was used in the story. The story was about Narendra Modi’s wax statue being installed at Madame Tussauds Museum. The video consisted of a video where this same screen grab could be seen. The news was uploaded on the website on March 17, 2016. 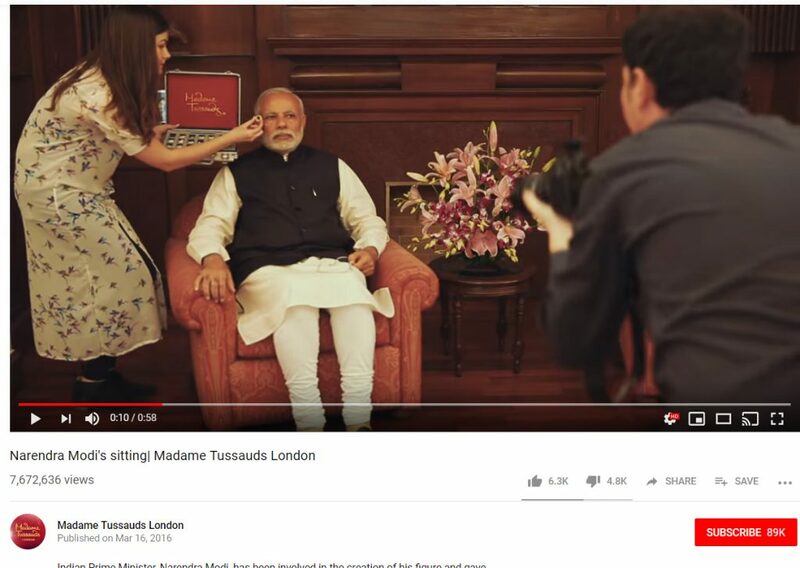 Looking at the video, one can see that the woman standing next to Modi was not applying make-up on PM Modi’s face, as alleged in the caption, but is holding up an eyeball while a study of Modi’s facial features was being done for the wax statue. This video has more than 76 million views so far. Not only this, more than 600 people have commented on this video. We also found a picture on Madame Tussaud’s Facebook page where Narendra Modi can be seen watching his statue. This photo was posted on April 20, 2016. On Youtube, we also found a video that showed the making of Modi’s wax Statue. This video was uploaded on Madame Tussaud’s Youtube Channel of Singapore on May 19, 2016. We decided to scan the account of the person who shared this image on facebook. 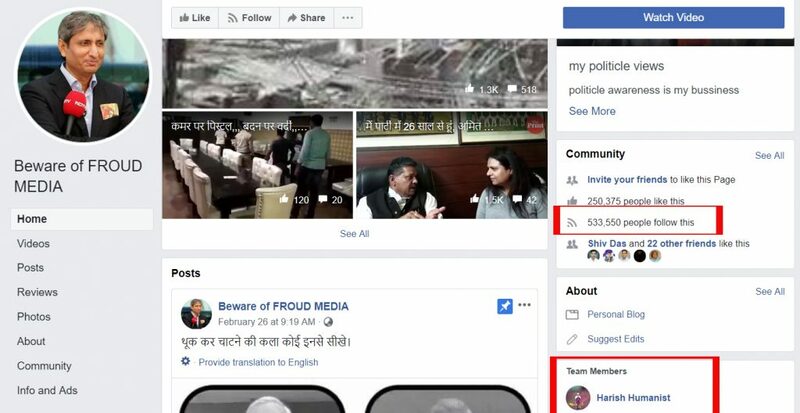 With the help of StalkScan, we found that most of the posts on ‘Beware of FROUD MEDIA’ Facebook page are against the government and Narendra Modi. This page is followed by five million people. The admin of this page is Facebook user Harish Humanist. Harish is the native of Agra and resides in New Delhi. According to his profile, he is working as a supervisor in Delhi Metro. 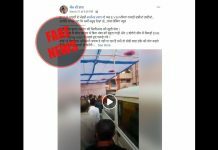 Conclusion: In our investigation we found that the post claiming that PM Modi has hired a make-up artist at a salary of Rs 15 lakh per month is fake.